The misadventures of recently paralyzed man and his equally handicapped friends. A Newfoundland, Canada focused sketch comedy show. The adventures of a professional lumber salvager and his friends in Gibsons, British Columbia. I love Video on Trial. I was thinking of giving up on Much Music when this show came out and I'm glad it did because it made Much Music worth watching again. It's great to watch the judges take the videos down, even if the videos aren't any good it doesn't matter because the judges cutting them are are so funny. The best regular judges are Ron Sparks, Dave Kerr, Debra Digiovanni, Trevor Boris, Frasier Young, Alex Nussbaum and a few others. My favourites are Ron Sparks, Dave Kerr and Debra Digiovanni, any episode with one of them in it is guaranteed to be hilarious because their comments are always funny but they also know about the videos they are talking about. The spinoffs for this show usually use the best judges too so they are always great, such as the Christmas Specials, the 1980's music videos and Stars on Trial. I hope they keep making new episodes since the one downer about this show is the reruns get overplayed way too much and sometimes they have bad judges. 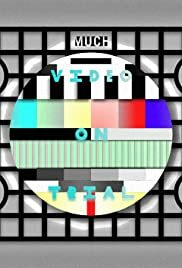 Still Video on Trial has to be the best show ever on Much Music. 37 of 38 people found this review helpful. Was this review helpful to you?